When’s the last time you volunteered for something and helped your community? Last weekend, my friends and I went out to our local park and volunteered. To tell you the truth, I haven’t volunteered for awhile and I wouldn’t have done this if my friend didn’t recommend it. But I am glad I did! Although, it took the whole morning, I felt I accomplished something. 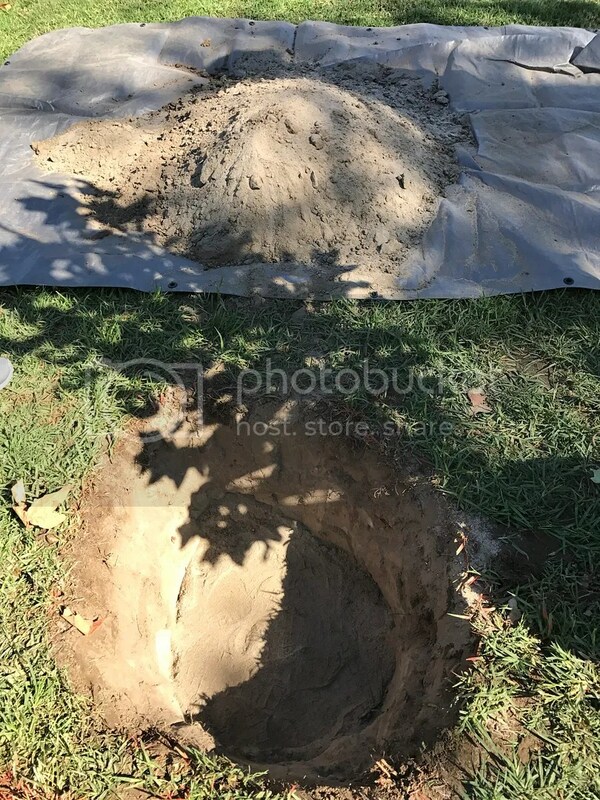 I also learned how to plant a tree (the correct way). My friend wanted to do something for the community. We searched through the internet and found many different types of volunteering; from reading to kids to taking care of pets in the animal shelter to feeding the homeless in a soup kitchen; etc. We found that planting trees was the most convenient. We volunteered through Tree People. 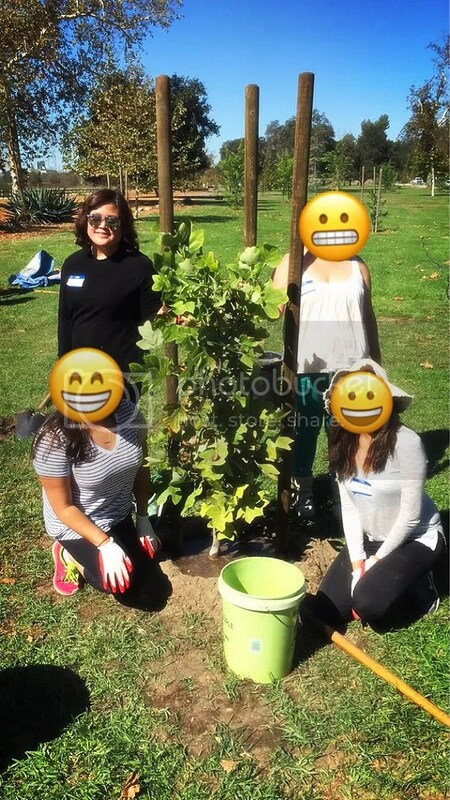 Tree People is a non-profit organization that “inspires and supports the people of LA to come together to plant and care for trees, harvest the rain, and renew depleted landscapes.” They have many different types of volunteering events throughout the months. They also have workshops, trainings, and hikes! More info can be found at Tree People. This is actually my second time using Tree People. 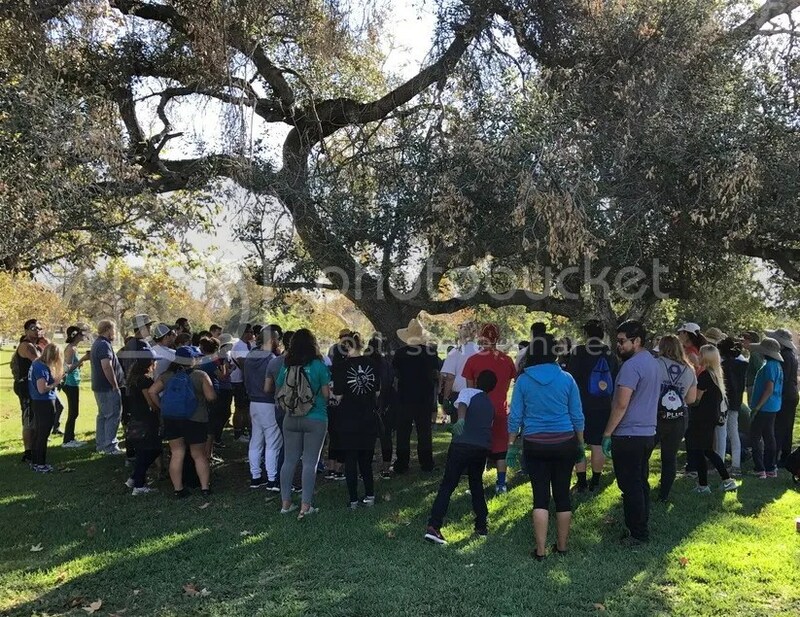 The first time was going on a moonlight hikes at their Beverly Hills location. Signing up for an event is easy. You just go to their website >> go to their Events Calendar >> Register for the event. Some of my friends didn’t sign up because the event was full on the website, but they showed up and they were welcomed to sign in. The more the merrier right? When you get there, you sign in and make a name tag. When I was there, they had donuts and coffee! After 9 am, they pull everyone together into one group then discussed what Tree People was all about. They then separated us into smaller groups and taught us how to plant a tree. After that we were separated into a group of 3-5 people to start planting trees. We were provided supplies; shovels, mats, gloves, etc. You just have to bring your “A” game and make sure you are properly dressed and ready to get dirty. 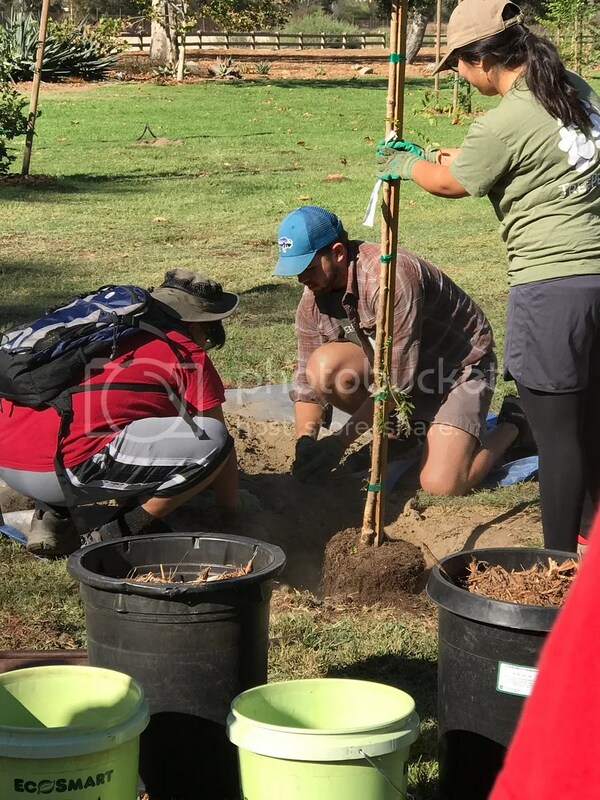 There is definitely a learning curve so planting a first tree is going to take awhile because it seemed like everyone around us was already finishing up with their first tree and going on to the next. However, my friends and I were making the best of it and we were trying to do it right while taking pictures because “It’s our first tree!” Plus, we got to name it! Living in the city, I don’t have the pleasure of going to a National Forest or “go outdoors.” I don’t even plant in my own backyard and the idea of planting a tree is so foreign to me. Living in Los Angeles, I am a bit fortunate that I do have Canyons and Parks that I can go on hikes, but since the drought, it hasn’t been all that beautiful. Planting a tree will hopefully provide a greater landscape and it only starts with one. 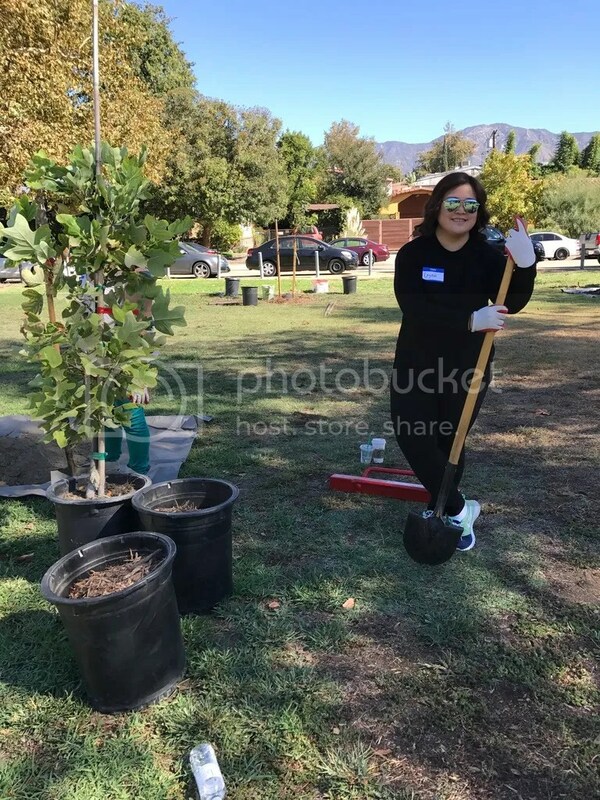 This entry was posted in Events, Foothill and tagged Betty Davis Picnic Area, Los Angeles, Planting Trees, Tree People. Bookmark the permalink.